Web development is moving fast driven by new technologies, trends, and so much more. 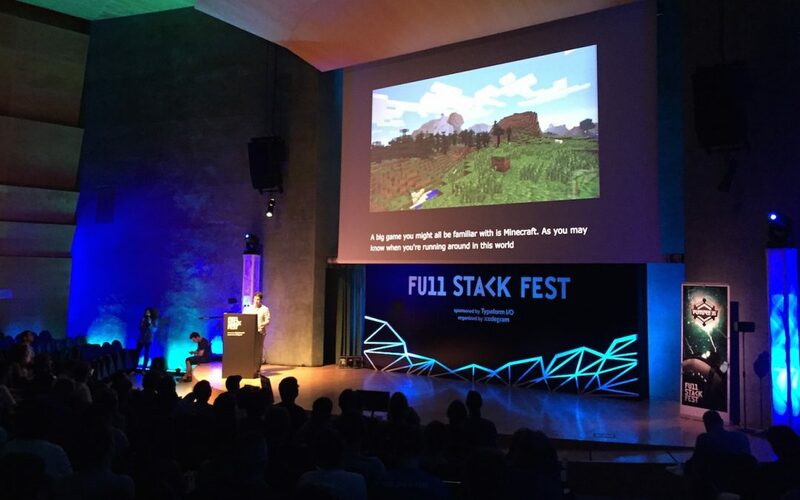 Last week hundreds of web developers converged yet again on Barcelona for Full Stack Fest (#FullStackFest) to learn about new trends in the fast-moving world of Web development. Full Stack Festis the international programming event in Barcelona, divided into two conferences: Barcelona Ruby Conference and Barcelona Future JS. This presentation is perhaps the biggest “wow” for me at the conference because it showed a cool way to involve the audience in your presentation. Ben Foxall showed what he could do with browsers doing a very cool live demo of all the device APIs using audience’s devices. With a quick introduction into interpolation, easing and sequencing Courtney showed how to create a lot of effects with just a little code. She showed some cool animations with use of Animate.css, cssanimate.com, Framer.js, Tween.js, Move.js, GSAP (Greensock). And with that, it’s a wrap for 2015! What do you think? Were you there? What were your biggest takeaways from Full Stack Fest?